National Emblem of the Republic of Kazakhstan is a picture of a shanyrak ( the cupola of a yurta) on a blue background, from which uyks (body bracket) like sun rays are being radiated in framing of wings of mythical horses. At the bottom of the emblem there is an inscription “Kazakhstan”. In colour picture the National Emblem of the Republic of Kazakhstan are of two colours: golden and blue-and-sky-blue. National Emblem of the Republic of Kazakhstan is an image of shanyrak (upper dome-like portion of a yurta) against a sky-blue background which irradiates (in the form of sun rays) uyks (supports) set off by wings of mythical horses. The lower portion of the Emblem bears an inscription “Казакстан”. Colour version of the National Emblem of the Republic of Kazakhstan consists of two colours: golden and blue/sky-blue. Reproduced image of the National Emblem of the Republic of Kazakhstan, whatever the size, must exactly conform with the colour (resp. black-and-white) design of the reference standard of the National Emblem of the Republic of Kazakhstan kept at the Residence of the President of the Republic of Kazakhstan. 2) in the study of the President of the Republic of Kazakhstan, in halls intended for sessions (both joint and separate) of Chambers of the Parliament of the Republic of Kazakhstan, sessions of the Bureau of Chambers of the Parliament, those of the Presidium, sessions of local representative bodies of the Republic of Kazakhstan, in the hall meant for sessions of the Supreme Court, its boards and other courts of the Republic of Kazakhstan, in the halls for holding sessions of boards of central and local executive bodies, state bodies directly subordinated and accountable to the President of the Republic of Kazakhstan, in the premises intended for gala registration of births, wedlocks, for investiture of government and state awards of the Republic of Kazakhstan, as well as in the reception halls of diplomatic representations and consular establishments of the Republic of Kazakhstan stationed abroad. 3) on seals and forms of documents of the President of the Republic of Kazakhstan and his Administration, on those of the Parliament of the Republic of Kazakhstan, its Chambers and staffs, of the Bureau of Chambers of the Parliament of the Republic of Kazakhstan, the Government of the Republic of Kazakhstan and its Staff, on those of ministries, state committees and such other central executive bodies of the Republic of Kazakhstan, state bodies directly subordinated or accountable to the President of the Republic of Kazakhstan, on those of the Constitutional Court, Supreme Court, other courts of the Republic of Kazakhstan, of the General Procurator’s Office of the Republic of Kazakhstan, on those of military formations and units of the Armed Forces and the Republican Guards of the Republic of Kazakhstan, on those of maslikhates, local executive bodies, state-owned notary’s offices who have been granted the right of placing the image of the National Emblem on seals and forms of documents by the legislation of the Republic of Kazakhstan. 6) on frontier posts erected along the state border of the Republic of Kazakhstan. 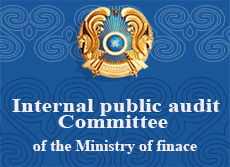 Legal standard acts of the Republic of Kazakhstan may make provision for other cases of obligatory reproduction of the image of the National Emblem of the Republic of Kazakhstan. It is strictly forbidden to use the image of the National Emblem of the Republic of Kazakhstan on forms, seals and such other requisites of non-state organizations and their executives. National Flag of the Republic of Kazakhstan is a rectangular piece of cloth of sky-blue colour bearing (in its centre) a design of the sun with rays, with a soaring eagle underneath. All along the flagstaff there runs a vertical band of national ornament. Images of the sun, its rays, the eagle and the ornament are of golden colour. Width/length ratio of the flag is 1: 2. National Flag of the Republic of Kazakhstan and its design, whatever their size, must strictly conform with the colour and schematic designs of the reference standard of the National Flag of the Republic of Kazakhstan kept at the Residence of the President of the Republic of Kazakhstan. 8) on buildings of state bodies and entities - on the days of some national holiday of the Republic of Kazakhstan and on red-letter days. Legal standard acts of the Republic of Kazakhstan may also stipulate other cases of obligatory raising or hoisting of the National Flag of the Republic of Kazakhstan. National Flag of the Republic of Kazakhstan may be hoisted (raised) on other buildings (resp.in premises) at the wish of owners thereof. In case of eventual national mourning the National Flag of the Republic of Kazakhstan shall be lovered to half-mast for the timeframe of the national mourning. 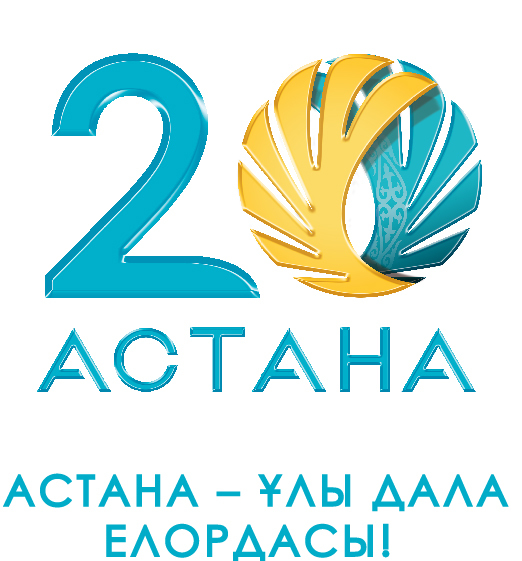 My Kazakhstan is the current national anthem of Kazakhstan, adopted on January 7, 2006. It is based on a homonymous song written in 1956, with music by Shamshi Kaldayakov and lyrics by Jumeken Najimedenov.This replaced Anthem of the Republic of Kazakhstan as the state anthem, which was used after independence. The original lyrics were modified by Nursultan Nazarbayev, the President of Kazakhstan, before the decree was issued.